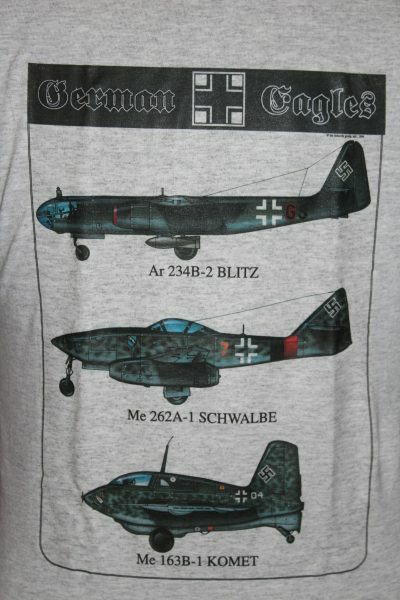 The "German Blitz Bomber" Is a two sided print in the color grey. 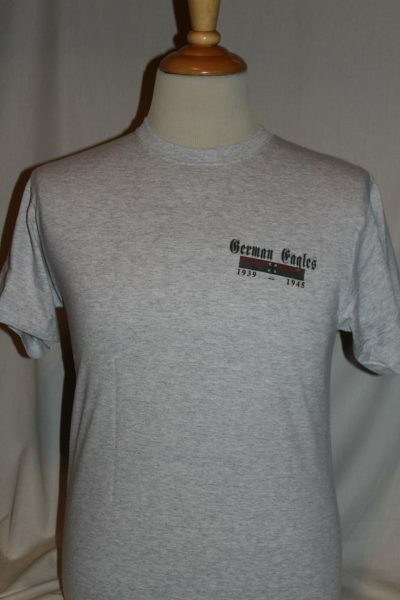 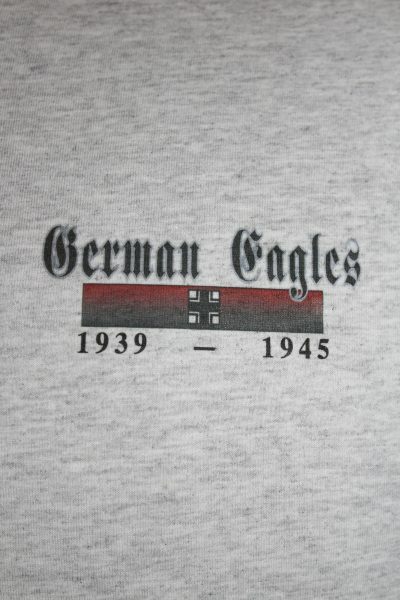 Front Design: German cross with text. 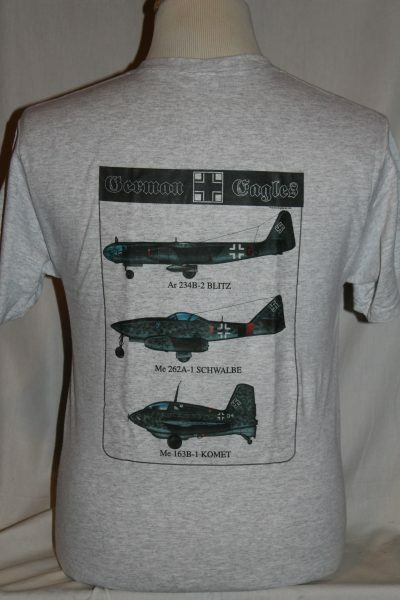 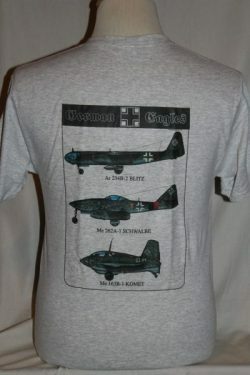 Back Design: Ar 234B-2 Blitz Bomber, Me 262A-1, and a Me 163B-1 Comet.